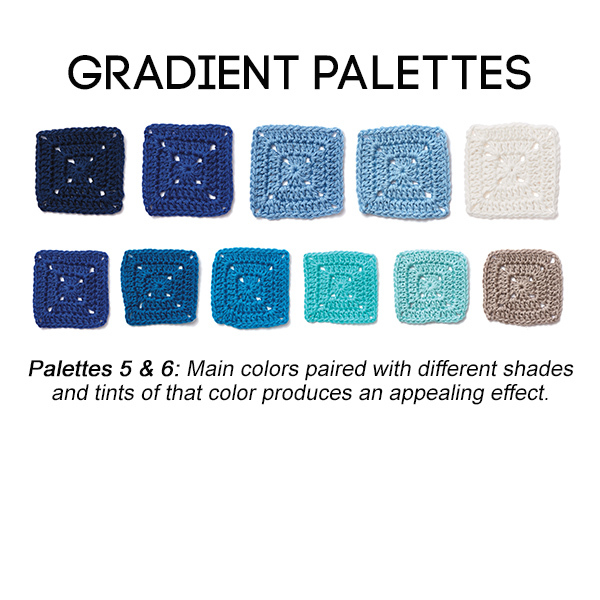 Choosing yarn colors for your next crochet project can become a project unto itself. Without guidance from patterns, choosing the “right” set of colors can leave you with a lot of questions. Which colors look good together? How many colors should you choose? Should you use pastels, bolds, or neutrals? And so on. 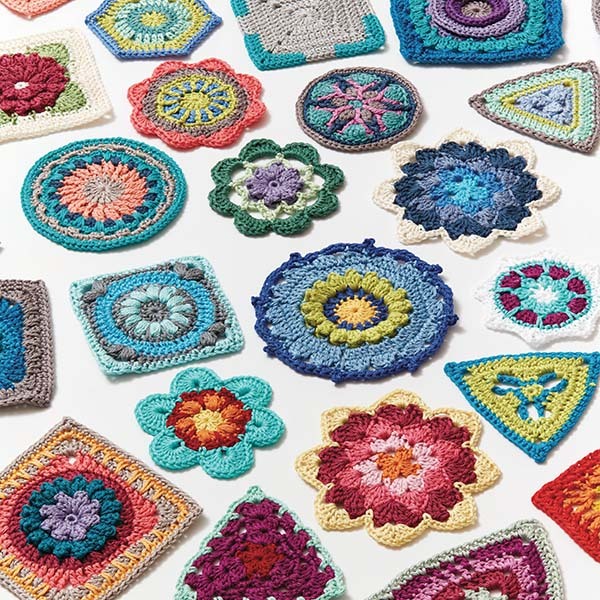 If you often find yourself at a loss on where to start with colors, check out Sandra Eng’s new book, Crochet Kaleidoscope. Filled with helpful tips on color choice, combining colors, and many other color “hacks,” this book will become your go-to guide for colorful crochet. 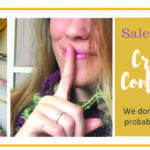 Read on to discover what Sandra says about getting started with crocheting with color. 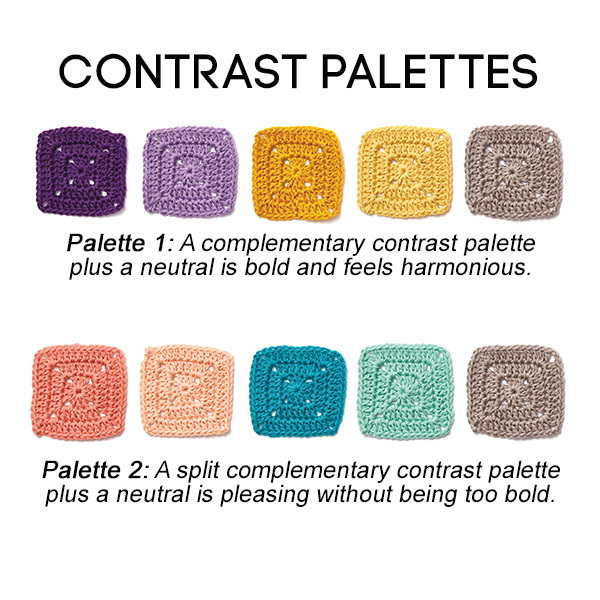 If we want to get more technical [with choosing colors for crochet], we can turn to color theory for guidance. Open up any beginning art techniques book, and you’re sure to come across a color wheel, onto which the entire spectrum of colors is mapped. Color theory, as related to the color wheel, can tell us about how colors mix and which groupings of colors appear more harmonious than others. A color wheel can help you choose and group colors. Before we delve into using the color wheel to guide color choice, let’s review some relevant terminology. 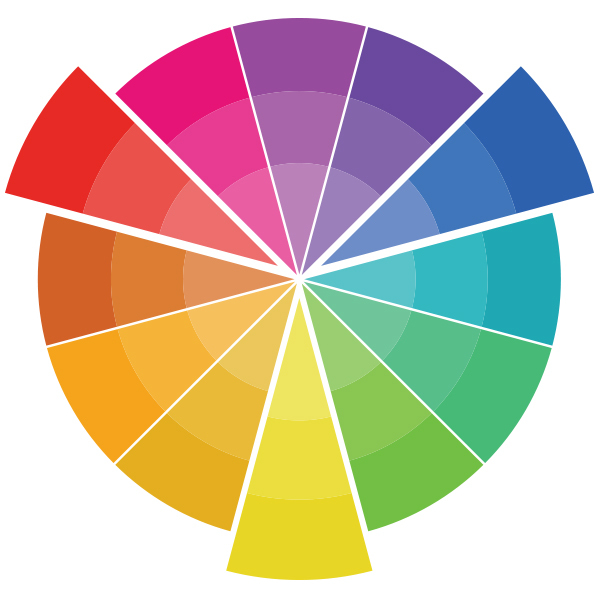 Hue refers to the position of a particular color on the color wheel; when we say “blue,” or “red,” or “yellow,” what we are referring to is hue. Analogous colors are those that lie adjacent to each other on the color wheel. For example, red and orange are analogous to each other. By contrast, complementary colors are found directly across from each other on the color wheel. These include pairings such as red and green, or blue and orange. Finally, different variations of hues can be created by adding white or black to lighten or darken a particular color. You can create different tints by adding white to a color, and different shades by adding black. When it comes to yarn, “adding” white or black simply refers to choosing a lighter or darker variation of a color. Color theorists assert that both complementary and analogous pairings of colors can contribute to aesthetically pleasing palettes. Depending on your taste, groupings of complementary colors might seem too bold of a contrast. In this case, a palette based on split complementary colors can lead to a more visually pleasing combination. Split complementary refers to pairing one hue with another hue that is analogous to the complementary color of the first hue. For example, combining blue with red-orange and/or yellow-orange, rather than with pure orange. One rule of thumb on which I rely often in choosing colors for motifs is to start with a main color, add one or two different shades or tints of the same color (darker or lighter), one or two complementary (PALETTE 1) or split complementary (PALETTE 2) colors, and a neutral color, such as white, cream, grey, or tan. 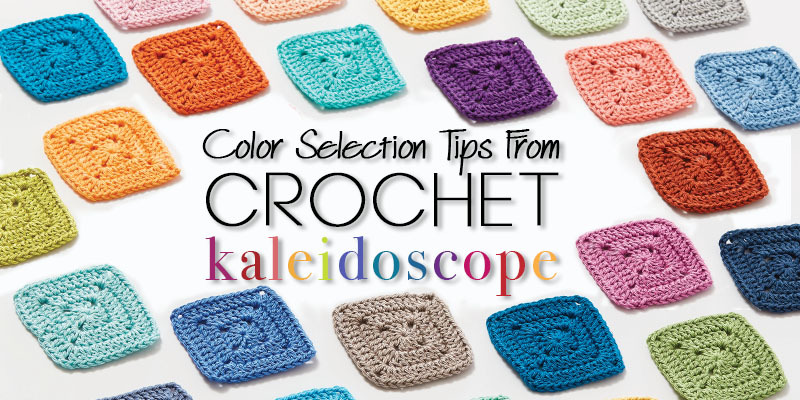 Discover these and a bounty of other crochet color tips in Crochet Kaleidoscope!